Most bank customers are not aware of the services their banks are rendering and they end up missing out on an opportunity to make their everyday transactions easier. I have seen someone who went to the ATM to withdraw money just because he wanted to subscribe to an internet data bundle. That’s funny right? But do not blame such a person because not every knows, perhaps you were not aware of some of the information about to share with you that’s why you are reading this article. Now let us go to the main reason why I put together this article as I know you are a customer to one of the banks I am about to show you their USSD code for buying recharge card or credit, anyhow you wish to call it.. lol. To purchase airtime directly from your Ecobank account is quite simple whether you are using Glo, Airtel, Etisalat or MTN. You just have to dial *362*Amount# and press the dial button. For example you want to purchase N1000 credit, just dial *362*1000# and you are good to go. 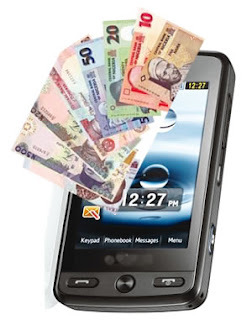 Note that your account is restricted to maximum top up of N3,000 per day. To recharge your line from your Zenith bank account simply dial *302*amount# and you are good to go. Simply dial *389*amount# to recharge your mobile phone from your FCMB Account. Simply dial *389*032*amount# and your line would be recharged immediately. Now for those of you whose lines are tied to multiple accounts with the same bank you may face some challenges. The only solution is to download the mobile banking app your bank uses.